AFL TASMANIA has corrected the oversight of omitting New Norfolk from its hall of fame before moving on to regional clubs last year. The league last year said all ex-TFL clubs had been admitted to its hall of fame - despite New Norfolk's noticeable absence. 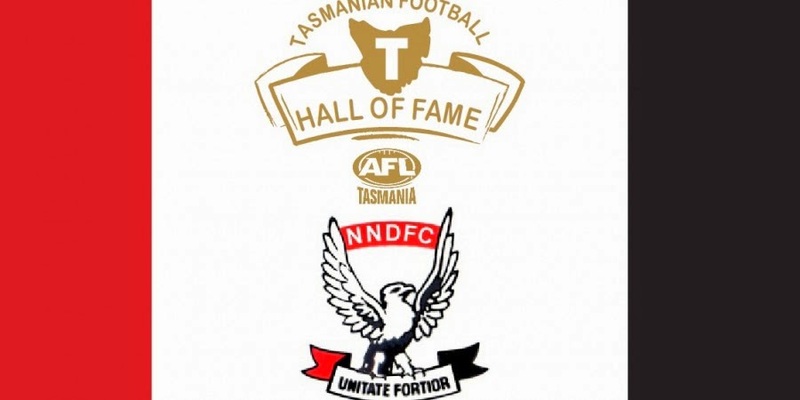 Announcing New Norfolk's selection in May, AFL Tasmania chief executive Scott Wade said the Tasmanian Football Hall of Fame was entering its 10th year. "The NNDFC’s origins date back to the 1860s, making it one of the earliest districts to play the game on a social basis, emerging officially in 1878, possibly one of the oldest clubs in Tasmania, if not the oldest continuously playing club," Mr Wade said in a media release. "After spending the first 69 years in country competitions, NNDFC graduated to the ‘big time’ of Tasmanian football in 1947 as the Tasmanian Football League (TFL) expanded and moved to ‘district’ football after the end of the Second World War," he said. Post war, this productive farming region was expanding as the newsprint mills at Boyer continued to increase the population of the district. With the establishment of their new home football ground at Boyer Oval and the opportunity to join the TFL, the club began its most illustrious era. By the late 1950s the club was a competitive force, making its first grand final appearance. Throughout the early- and mid-1960s the emergence of the region's greatest footballer – Peter Hudson – spearheaded the Derwent Valley to football prominence while seemingly every club in Australia chased Huddo. The emergence of Hudson coincided with the appointment of prominent Tasmanian rover Trevor Leo to captain/coach the Eagles' most successful era. When Hudson joined Hawthorn for the 1967 season it appeared that the opportunity for the ultimate victory may have been lost. However, in 1968 New Norfolk supporters were rewarded with the honour of best club in Tasmania when the team defeated North Hobart and then Scottsdale to take the TFL and State Premierships. Challenging for TFL honours in the early 1980s under Robbie Dykes, the Eagles once again achieved success in 1982. In the early 1990s the club entered the 1994 State Grand final as favourites but lowered its colours to Clarence. Following the restructure of Tasmanian football at the end of the 1990s, New Norfolk established itself as a powerhouse in the Southern Tasmanian Football League (STFL). In this competition New Norfolk has enjoyed its most successful era to date. After breaking a 23-year drought in 2005 the club has dominated the SFL since 2009, playing in every grand final, with two premiership doubles in 2009 and 10 and again in 2012 and 13. With a total of 23 country and regional senior premierships, a state flag and a list of illustrious players, the NNDFC deservedly took its place amongst the "Great Clubs of Tasmanian Football" at the Hall of Fame gala function at Wrest Point last night. Two New Norfolk men were also admitted as Hall of Fame player inductees at the same time. These were Tony Browning and Cameron Clayton (see separate articles on each).